I am a senior at St. Cloud State University majoring in Sociology with a minor in Business Marketing. I will be graduating this spring and I am happy to work with Students United as their Government Relations Intern for the remainder of my senior year. Higher education is important to me and I am glad to have the opportunity to make our Minnesota State Universities better for students. Before coming to St. Cloud State, I graduated from Ridgewater Community College in willmar, MN, with my Associates in Arts Degree in Liberal Arts and Sciences. I also achieved my National Registry Emergency Medical Technician certificate while attending Ridgewater. Throughout my time in community college I was a Fitness Center Supervisor for four years and later worked as an Emergency Medical Technician (EMT) for the CentraCare Health ambulance service in Paynesville, MN. While at St. Cloud State, I quickly got involved as a student leader. I was Vice President and later President of my residential Community Council of about 300 students. Soon after, I was elected as a College Senator for the College of Health and Human Services on Student Government. After holding a couple Chair positions for the organization, I was appointed and currently now a Co-chair for the Student Services and Sustainability Committee. Other organizations I am involved with are International Student Association (ISA) and Students United. Currently I am the secretary for ISA and the Legislative Specialist for the St. Cloud Students United Campus Committee. Some of my favorite memories come from my involvement in all of these organizations and they have helped me achieve great success. In fact, I was one of the few students this year to be awarded the Excellence In Leadership Award at St. Cloud. Another great memory I had accumulated while attending St. Cloud State include my study abroad trip to China. 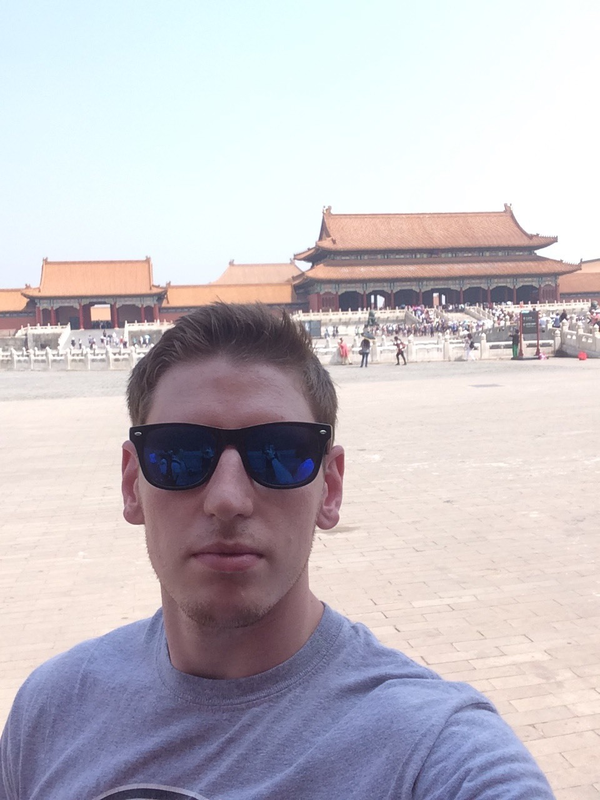 While I studied abroad in China, I got to visit Beijing, Xi’an, Shanghai, and Hong Kong. I did everything from walk on the Great Wall of China, see the Terracotta Warriors, and bicycle on the Xi’an City Wall. I am not sure what I want to do or where I want to go after graduation, but for the mean time I would like to focus on getting good grades, work hard as the new Government Relations Intern, and enjoy the rest of the moments I have at St. Cloud State.